The photographer Jeannette Montgomery Barron, whose subjects have included Andy Warhol and Cindy Sherman, was introduced to Keith Haring in his New York studio in 1985. That meeting led to the series of photographs now being published here for the first time, a pictorial dialogue between the meticulously observing Montgomery Barron and the stylized icon Haring that unfolds with its own dramatic narrative. For Montgomery Barron, observation is a means of immersing herself in her subject. Being observed enabled Haring to play with perception in a way viewers will recognize from his works. 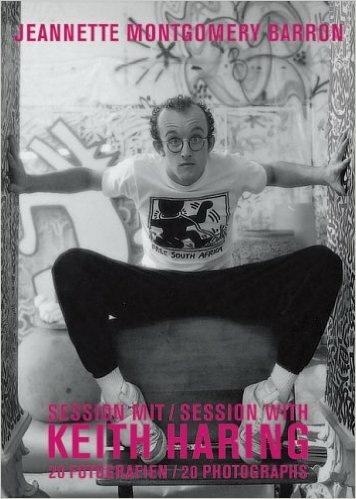 Session with Keith Haring invites us to take part in this encounter and to let Haring come to life again before our eyes.